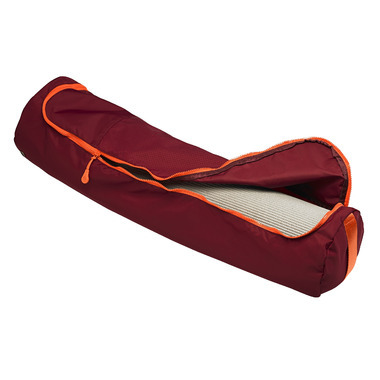 The Gaiam Performance Mat Bag has a classic style, functional design and is made with quick-dry nylon. You can hold nearly everything with a large main compartment for your yoga mat, separate zippered pocket with breathable mesh for your sweaty gear and a small zippered pocket for your essentials. The adjustable strap lets you customize the fit and a durable top handle makes it even easier to move around.